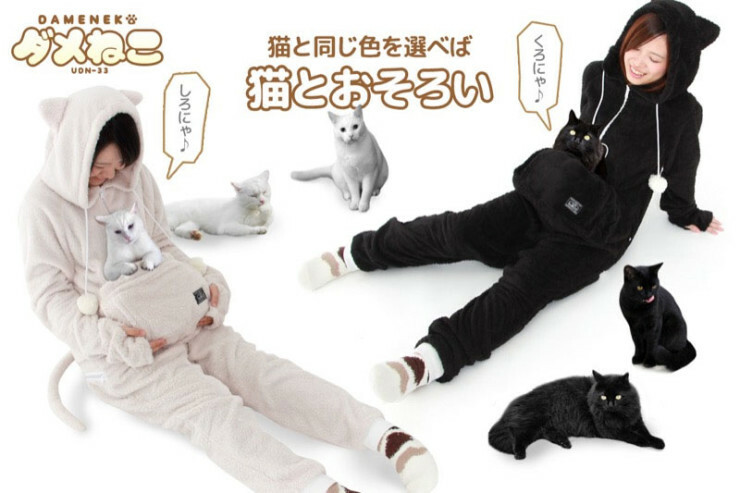 A Cat Suit With A Pouch For A Cat Is The Catsuit You've Always Wanted | OhGizmo! By David Ponce on 11/20/15 • Leave a comment! 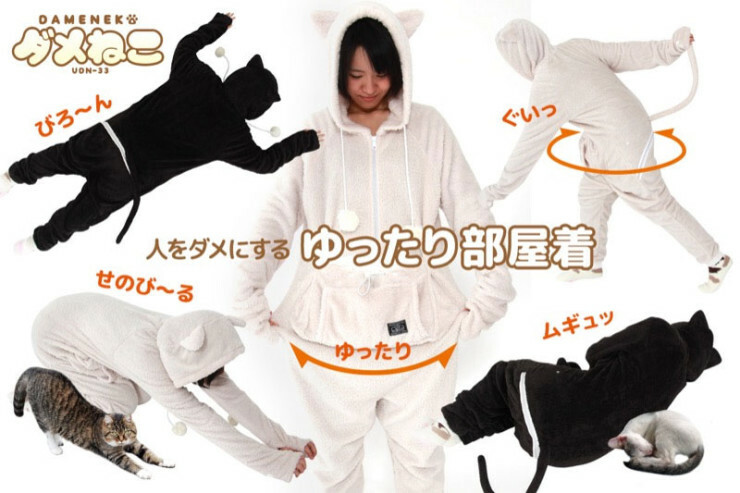 Aw man, we’re surprised the Internet didn’t break when news of this Cat Suit came out. 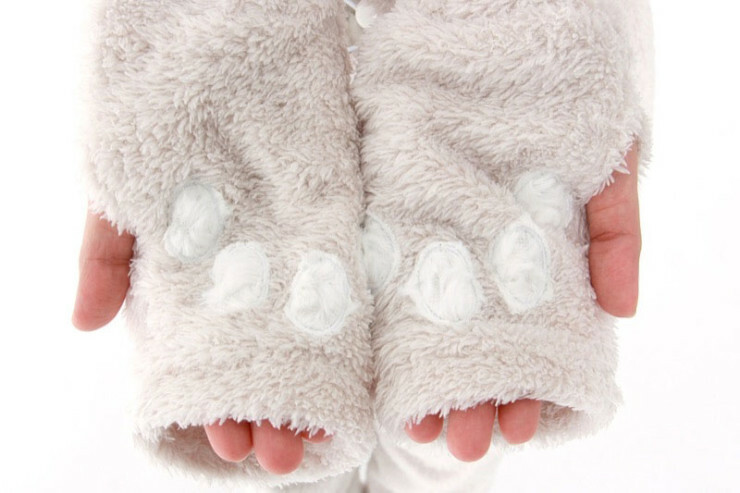 It’s a lot like the Mewgaroo Hoodie we wrote about in May, it even bears the same name, only it’s a jumpsuit with cat ears and cat tail, or a Catsuit if you will. 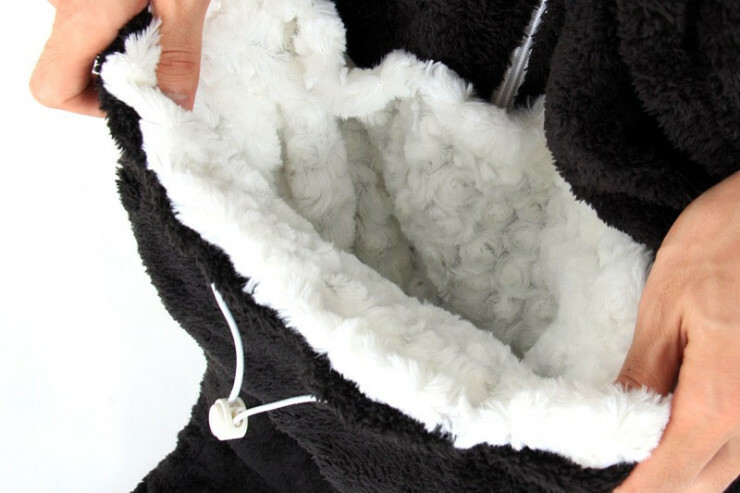 And like it’s hoodie cousin, it has a special pouch with a top opening in which you can stuff your cat, to complete the image. 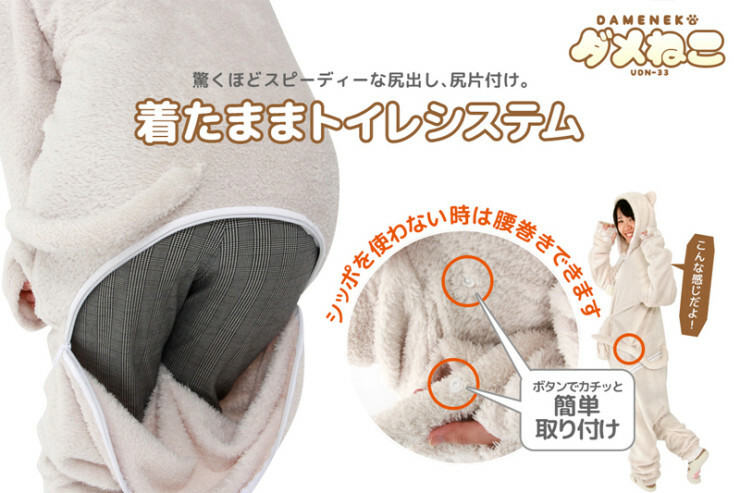 Oh, and a trap door so you can do your business while still carrying your kitty, which will undoubtedly make him happy and not freak out at all. Crazy cat ladies everywhere will jump at the opportunity to make a trip to the local Walmart donning this most awesome cat-loving and sanity-defying costume. 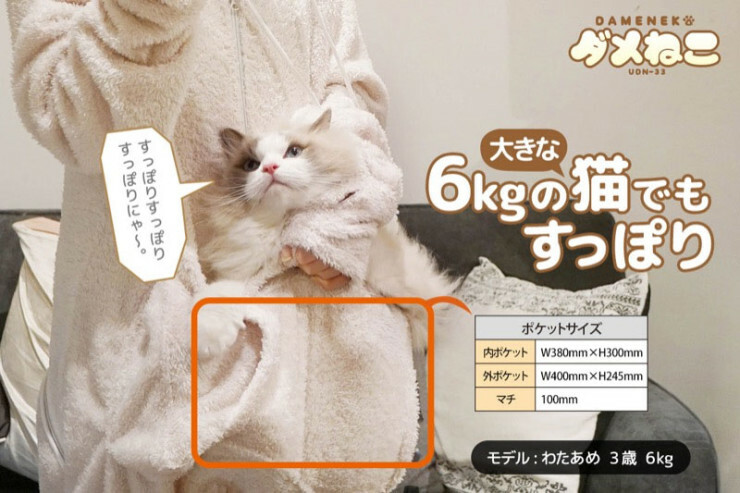 It’s 8,000 Yen, or about $65.